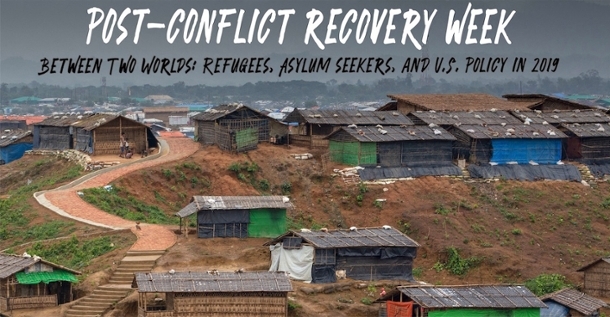 The Center for International Stabilization and Recovery (CISR) is hosting the panel event, “Between Two Worlds: Refugees, Asylum Seekers, and U.S. Policy in 2019,” for 2019’s Post-Conflict Recovery Week (PCRW) at James Madison University. The panel members will offer a broad range of perspectives on the status, livelihoods, personal experiences, and legislation surrounding refugees, immigrants, and asylum seekers. There will be time for a Q&A period, which will be followed by a catered reception. For unregistered campus visitors, please park in the Grace Street Parking Deck between the hours of 6:30 and 9 p.m. on April 3. No parking permits will be necessary. All regulations for JMU students, faculty and staff will remain in effect, and students attending the event are required to park in appropriate student parking lots with a JMU parking permit. Note that regular enforcement will continue in other parking lots, and guests may receive parking citations if parked in restricted lots. Guests are prohibited from parking in specialty spaces such as service-vehicle spaces, handicap spaces without proper permit or expired meters. They are also prohibited from parking in fire lanes. Please click here for a map of the JMU campus. Please click here for driving directions to the JMU campus. For questions about the events, please contact Jennifer Risser at risserje@jmu.edu.